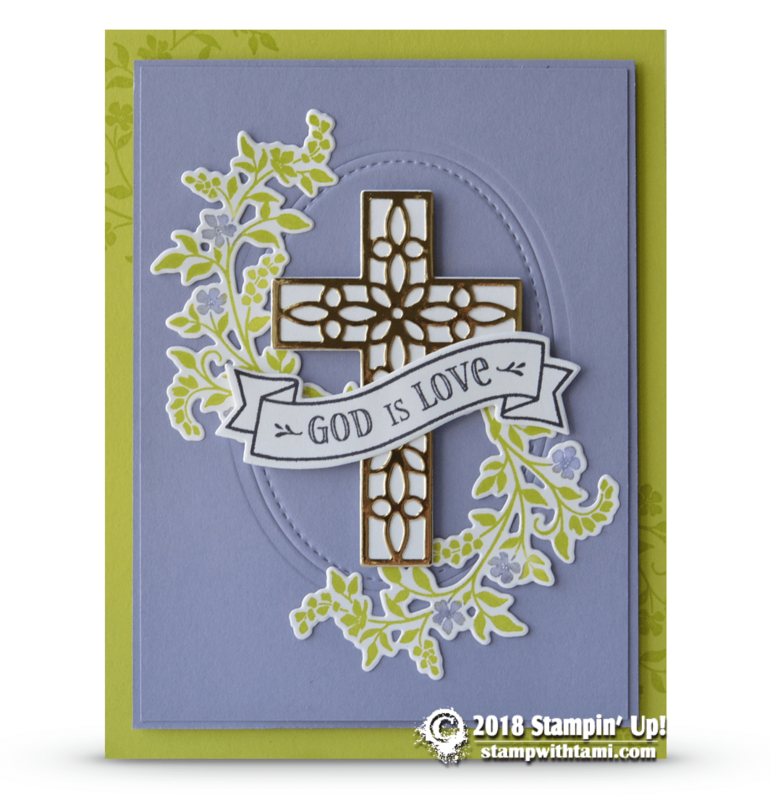 Beautiful “God is love” card from the Stampin’ Up! Hold on to Hope bundle. The outline of the cross is cut from Gold Foil and layered over Whisper White. The ornate flowers were stamped in Lemon-Lime Twist and Wisteria Wonder. The Stitched Shapes die oval was cut from the Wisteria Wonder card stock panel, and then attached back to create a beautiful background element. Get a free Hold on to Hope 4 card set tutorial when you have a min. $50 purchase in my online store through April 15. Details here.